Truthful accurate information about relationships, spirituality, employment. Any question I'll answer. She is so good. She hit the name on the head. She can read me and him very well. thank you so much. I feel the same way. Wreni was nice and gives off pleasant energy! As far as the reading goes, she took a while to get there (as it relates to answering my question) and after a total of 29 minutes (across two consecutive sessions), it was still a very short session in terms of waiting against feedback given. Lastly, I always check for congruency in what comes through. The two other highly rated psychics I asked the same question to after our session quickly gave me feedback that was very different than hers, but consistent with each other. Perhaps we were not connected well, but I can see from other feedback here that she has helped people in the past so my feedback should of course not be taken as an absolute. The chat connection was lost in the first session so I posted my full feedback above. Wreni has been a user of Keen since 2003. 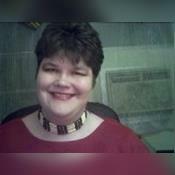 Getting Spiritual Readings advice from Wreni through www.keen.com is safe, secure and confidential.